Ham Radio - QRP: Don't forget -- Straight Key Night 2018 is tomorrow ! Don't forget -- Straight Key Night 2018 is tomorrow ! Don't forget January 1st, 2018 starting 00:00 GMT (7pm EST Dec 31) is the start of Straight Key Night 2018. Bring your tired, old equipment on-air and mash your favorite mechanical key. This is not a contest, just an opportunity to make lots of fun QSOs. 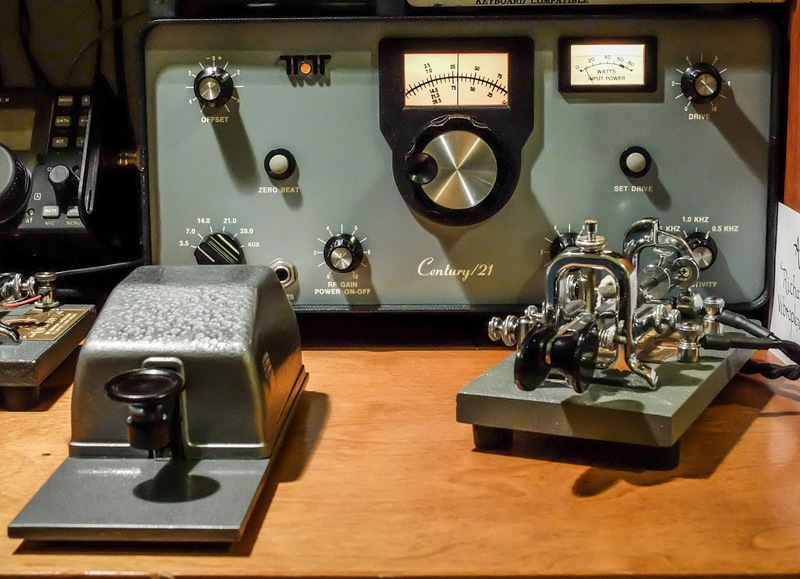 I'll be on the air with my 1977 Century/21 using my Junker Straight key and Standard Vibroplex Bug. If you hang in there until the 2:08 mark you'll see my new, spiffy, dual camera angle recording method that I plan to use in all my videos.